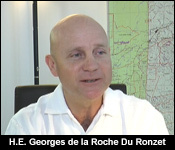 On last night's news, we showed you part one of our exclusive interview with the new Guatemalan Ambassador to Belize, Gorges De La Roche. 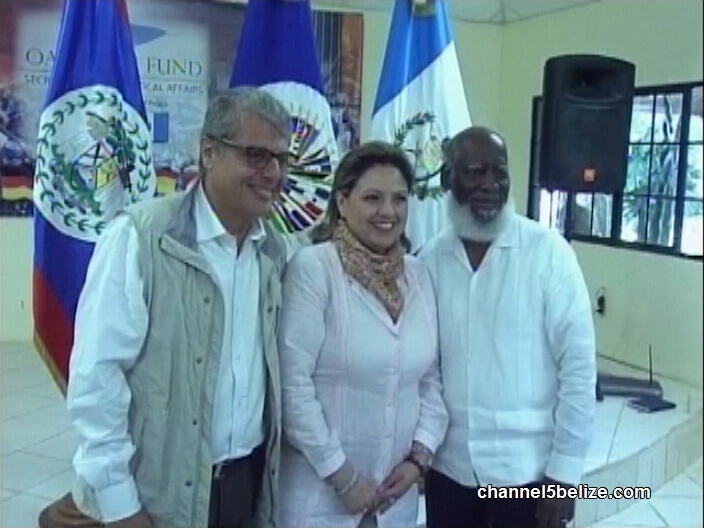 He was discussing different aspects of Belize/Guatemala relations and the topic of their ICJ public campaign came up. On April 15, Guatemalans will go to the polls and vote on whether they want to take their country's territorial claim to Belize to the International Court of Justice. 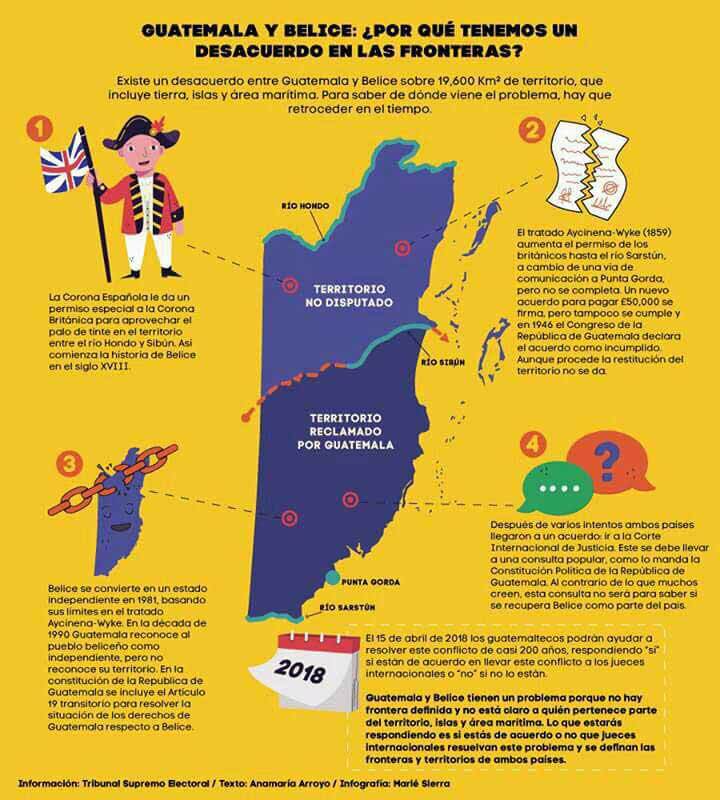 For months now, the Guatemalan Government has been hosting their public education campaign on the ICJ referendum, and we wondered what kind of feedback they've been getting on this claim to Belize that's almost 200 years old. "The fact is that our demographic is very young. We are a young country in Guatemala and most of our population, because they are young, because that's just the nature of our demographic, are unaware with issues. That's why we have being aware of that we launched last year this high gear information campaign to remind people on what the issue is." "We have of course focused our efforts on certain populations and that's paid off, because there is in certain parts of Guatemala, I won't say complete ignorance, but there is a certain level of ignorance as to what the case is, what the historic case is. Now keep in mind that this wasn't between Guatemala and Belize. This wasn't even our issue. We've inherited this issue. So the campaign we have done has been positive. All our embassies abroad have been also not only sharing the information on the voting procedures what the issues with the officials of other countries, but with Guatemalan populations abroad also so that the word spreads." "I think it's been a very successful information campaign." "Have you encountered that particular sentiment on the other side? Is it like abroad spectrum where you have Guatemalans who would be more forward thinking and progressive? 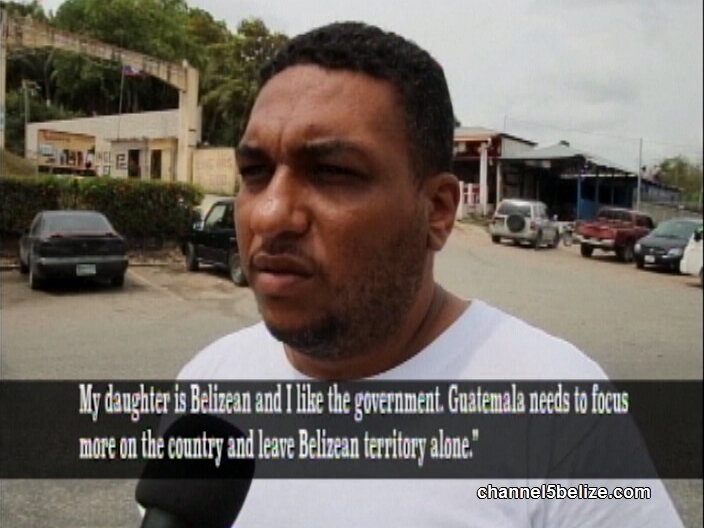 Is there that sentiment that 'you know what, Belize is ours' - what is the spectrum of sentiments you've encountered?" "The sentiment, the issue has evolved, has changed a lot in the past 40-50 years. I think that those not so rational people that feel more passionately about the issue on the Guatemalan side are few. There are some people that even make up things that are not fact. But I really think it's a small percentage, very small percentage." Would Guatemala Try To Slip Out of ICJ Judgement? Now, for the territorial dispute to actually go to the ICJ, the populations of both Belize and Guatemala have to vote yes in their respective referendums. But, as you may be aware, there are those strong-minded Belizeans who refuse to entertain the idea of an ICJ resolution. And that's because there is suspicion that if Guatemala loses the case, they will simply ignore the ruling and carry on as though nothing has changed. 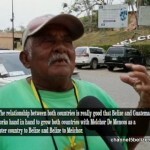 "We know that in the past, your country was claiming half of Belize. Is that still the position?" "When you ask that, I will remind you that we are tiptoeing around a legal case, a court case or hopefully a court case. So I won't even dare to answer that. Once we are at the Hague there will be a memorial presented by us in the stages of their procedures in the Hague. So that's the answer I can give you." "By coincidence I was sent to the Hague 19 years ago to open our embassy there, waiting for this case to get there, so there has been much preparation for it." 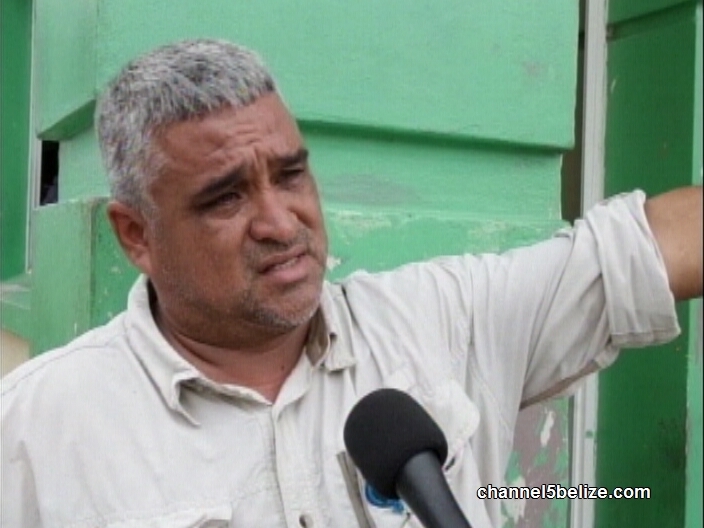 "There is a guess this worry that if both populations take this matter to the ICJ and Belizeans believe that Belize is for Belizeans, should the court rule in that particular manner, will this be a situation the chapter will be closed? 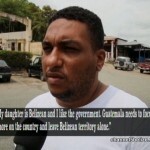 Should Belizeans worry that a future government administration or future generation of Guatemalans will say look no, we reject that particular ruling." "Let me answer in 3 parts, the first part let me be very emphatic and clear and a simple answer. Yes. Allow me to elaborate. We recognized the Hague as the judicial arm of the United Nations. We are very much part of the United Nations system. If this goes to the Hague and we are hoping it does, like I believe you're hoping it does - absolutely yes. What we want and I answered the first question, we want closure on this. We understand and all the accords and all the agreement we have signed to that effect - that's always mentioned that the resolution is final and definite. We understand that and we are more than willing to abide by that." As we told you, there was a lengthy negotiation between the Ambassador's office and our news room, before we finally arrived at yesterday's sit-down interview. We had a long list of questions to ask him about his Government's reaction to the fatal Chiquibul shooting of the 13 year-old Guatemalan boy. But, ultimately, we were told that he was not able to take our questions on that topic at this time. Guatemala teaches its citizens what they hope to gain after the dust settles. 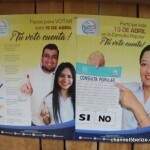 The Guatemalan National Referendum on the I.C.J. takes place on Sunday, April 15th, 2018. Guatemalan president Jimmy Morales has hit the road in the last lap of his country’s campaign for the I.C.J. before the April fifteenth referendum. 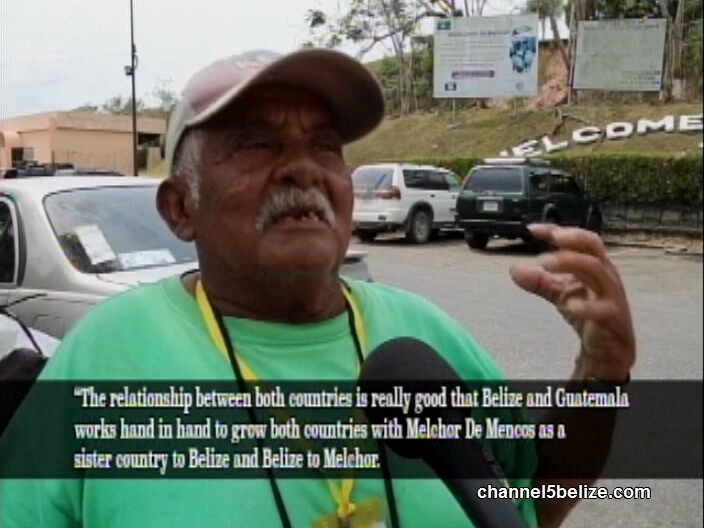 On Sunday, he was in Petén, one of two Guatemalan provinces that directly border Belize. 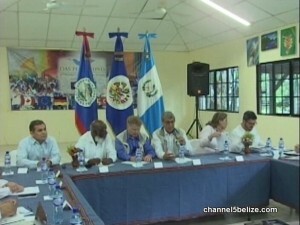 Morales had a message for Belizeans: in one breath, he said that Belize has a neighbor who loves them and respects them, and wants to improve the overall relationship between both countries. But in the other breath, the president says they are fighting for what they believe is theirs. 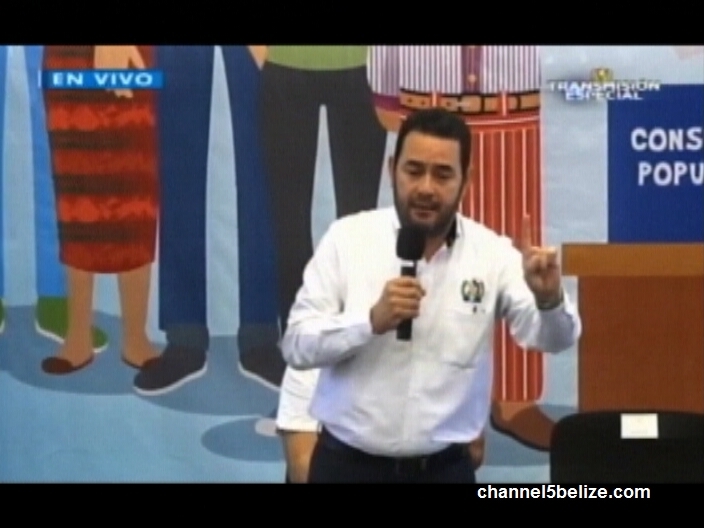 In his statement on Sunday, Morales told his audience that they want to reclaim twelve square kilometers of Belize, which is more than half of the country. Here is how he explained it to an official event in Santa Elena, Peten, courtesy the Facebook page of the Government of Guatemala. The P.U.P. 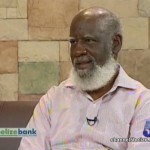 has reacted to a statement made by Minister of Foreign Affairs Wilfred Elrington to this station on April fourth. Elrington said that he had been advised that according to Guatemala’s constitution, it must take any result of a case at the International Court of Justice to another referendum. Today, the P.U.P. said it is “extremely concerned” as it was not aware of any such provision in the Guatemalan Constitution and if it is so, it would violate article five of the Special Agreement of 2008. That article binds both parties to accept an I.C.J. decision as final and binding and implement it fully and in good faith. The P.U.P. wants Elrington to withdraw the statement to avoid confusion. This morning, Elrington said he believed the referendum will go ahead, and even if Guatemalans vote no, there is always another opportunity. President Jimmy Morales from Guatemala has been making the media rounds in respect of the upcoming referendum which takes place this Sunday in Guatemala. Over the weekend, he was in the Peten area and on Monday night, he appeared on TV Azteca in a programme called Hechos with Ana Lucia Masariegos. The president was grilled about a number of issues. He spoke about the invitation he extended to PM Barrow to attend his inauguration and said there was a good relationship between them and while he doesn’t speak to his counterparts every day, the relationship is there. But the interview, about twenty minutes in length, did not go as smoothly for the president who appeared irritated at the line of questioning. 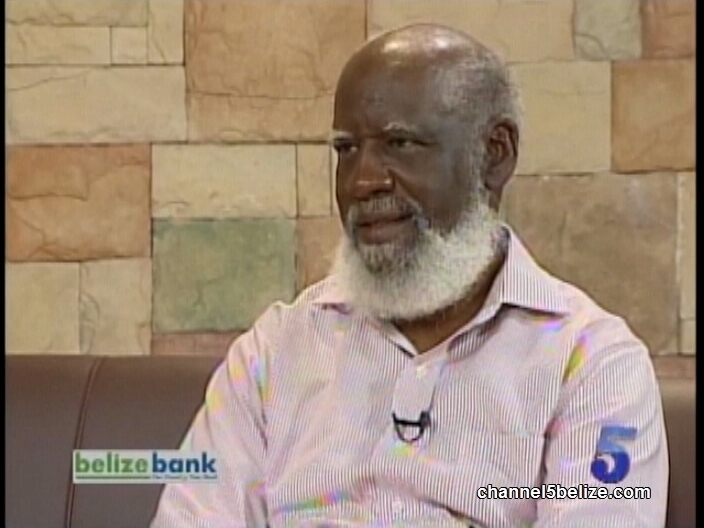 When pressed on how his government was prepared to do if Belize did not hold a referendum, he became annoyed; he interrupted the interview, delivered a parting shot and then walked off the set. After the interview, Masariegos took to Twitter saying that citizens have the right and the obligation to question government officials; in particular, if it is done with respect. 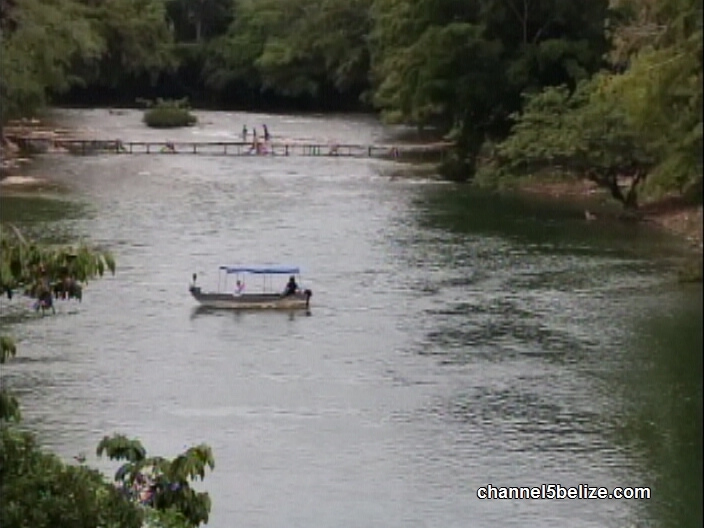 Taking the Guatemalan territorial claim of Belize to the International Court of Justice continues to be met with mixed views on either side of the border. While political leaders from both countries have been pushing for a final resolution at the Hague, many question the viability of that route. 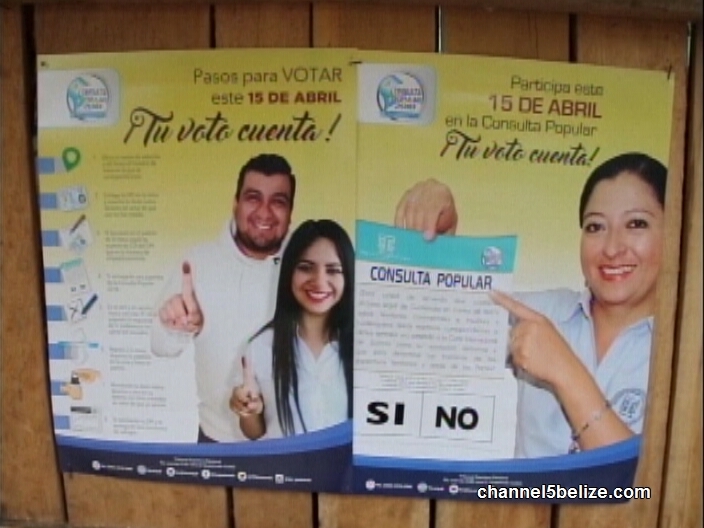 But whether that process will be taken will be determined by referenda held in Belize and Guatemala; the latter is set for Sunday, April 15th. Guatemala is investing forty million U.S. dollars to carry out its referendum and in a recent visit to Peten, President Jimmy Morales encouraged residents from border communities to exercise their right to vote. 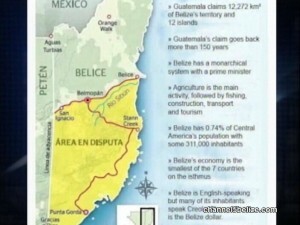 But Guatemalans say they are confused since a recently published article in Prensa Libre and a map circulating on social media indicate that their government is claiming more than half of Belize. This contradicts the concept of seeking a defined border line between both independent countries. At the western border, commerce and trade between both countries is clearly visible. Aside from the bus loads of Guatemalan students and laborers entering Belize as well as the traffic to and from the commercial free zone, there are many, including vendors, and tour guides who say that their bread and butter is at risk. Interestingly, their minds are made up – they will not vote in the referendum in an attempt to keep the status quo intact. 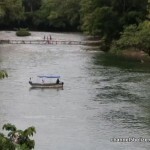 The village is cut off from the rest of Guatemala by the Mopan River causing the residents to live very humble lives. Access to basic commodities and work from their country is almost non-existent. 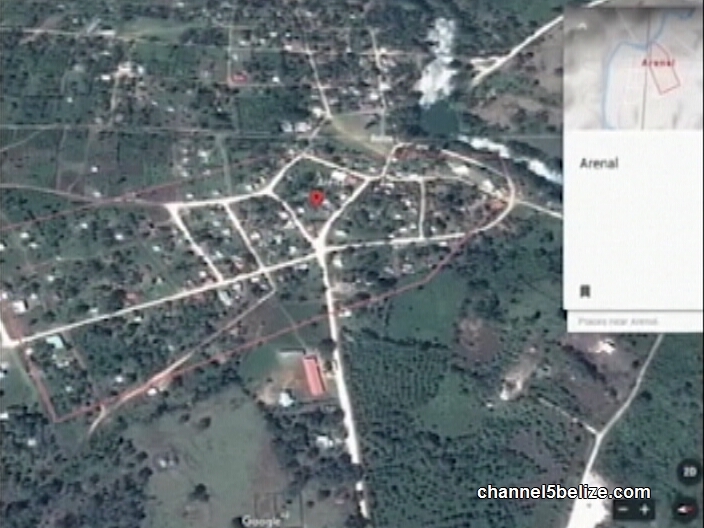 In fact they remain undocumented when they unknowingly cross into Belizean territory. Feeling abandoned, Village Committee rep, Atilio Lopez says most residents will not partake in the referendum. Essentially, going to the I.C.J. is different for everybody. 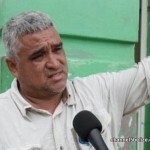 In the case of Mario Rene Galdamez of Flores, Peten; he recently purchased a house in Belize, his daughter is Belizean and they enjoy the benefits of both countries. In related news, the Constitutional Court of Guatemala has ruled against constitutional claims challenging the ratification by the Guatemalan Congress of the December 2008 Special Agreement and its amendment in 2015. The basis for the claims was that the Compromis violates their constitution in that it was not submitted by Congress to a referendum. With the court’s ruling, that obstacle is out of the way and the referendum proceeds on Sunday. THIS IS AN INTERVIEW WITH GUATEMALAN VOTERS, WHO SEEM TO KNOW VERY LITTLE ON THIS REFERENDUM. - Many will vote for different reasons. 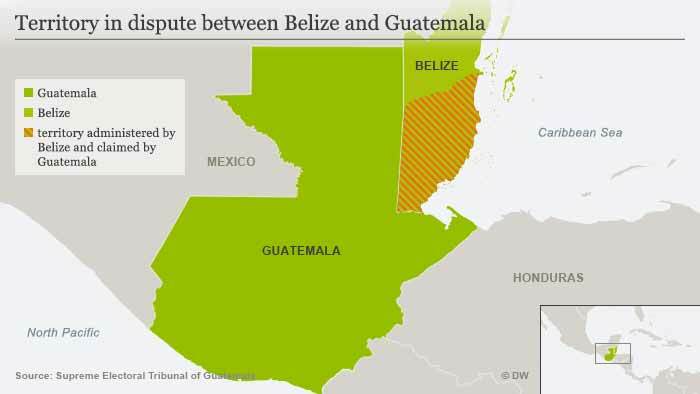 In Sunday's referendum over the future of the country's territorial dispute with neighboring Belize, Guatemalans voted overwhelmingly to ask the International Court of Justice (ICJ), based in the Hague, to resolve the centuries-old conflict. 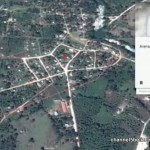 With more than 92 percent of the vote counted, some 95 percent had voted in favor of letting the UN's top court have final judicial authority over an area of some 12,270 square kilometers (4,737 square miles) — about half of Belize — and the border between the two neighboring countries. Guatemala’s Vice President, Jafeth Cabrera announced to his country today that the Government of Belize will carry out our national referendum in May, as part of the commitment to resolve the dispute. Turnout for the referendum was low, however, with an abstention rate of over 75 percent. Past Guatemalan referendums on constitutional changes have also been marked by high abstention and voter apathy. Nonetheless, Guatemalan officials pointed out that the turnout was the country's highest-ever for a referendum. Judge Maria Mijangos, the president of the Supreme Electoral Tribunal, which organized the vote, said that, "Today we should feel satisfied and celebrate this civic success that we have undertaken," the Guatemalan news agency AGN reported. 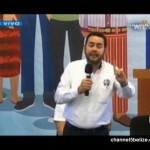 President Jimmy Morales, who had made the "fight to recover Belize" part of his campaign platform, welcomed the Guatemalan peoples' decision to pursue "a peaceful and democratic solution to solve a 200-year-old conflict." The territorial dispute dates back to the 18th century when the Spanish Empire, which controlled Guatemala as a colony, granted the British Crown access rights over Belize. The latter became a British colony under the name British Honduras and eventually gained its independence in 1981. 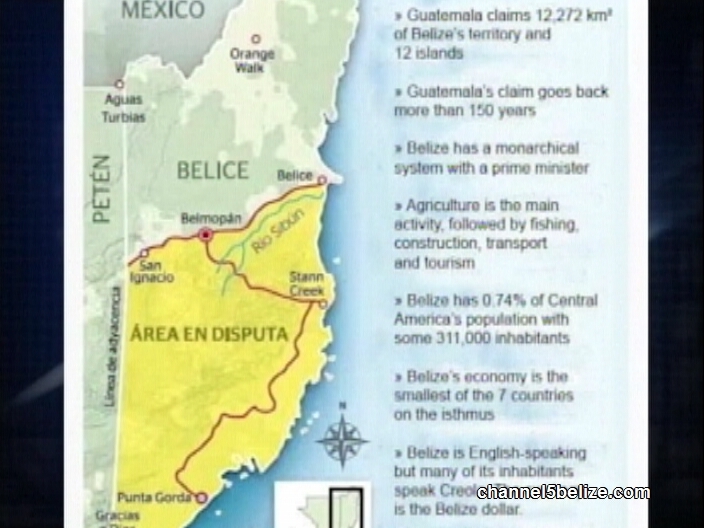 While Guatemala recognized Belize's independence in 1990s, it has never dropped its claims over roughly the entire southern half of the English-speaking country, including island and maritime areas. The referendum was the result of a 2008 accord signed by both Guatemala and Belize that said the countries' citizens would have the right to decide whether to send the territorial dispute to the ICJ. Belize has promised to have its own referendum at a yet unspecified date in the future. If the "no" vote subsequently wins, both countries will have to seek an alternative way to resolve the conflict. Press Conference of Preliminary results of Guatemala Referendum. The president of the TSE reported that voter turnout was 24%. 96% of those that participated voted YES and 4% voted NO. 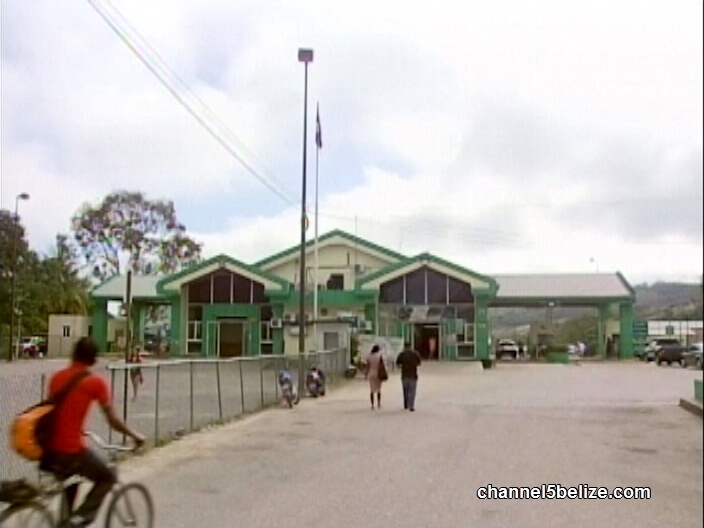 Episode one of the documentary series "Belize's First Line of Defence" highlighted what areas define Belize's borders and how they were established. Let's take a look back! The Government of Belize avails of the opportunity to congratulate the Government and people of the Republic of Guatemala for conducting its referendum on April 15, 2018 on the question of going to the International Court of Justice (ICJ), in accordance with the Special Agreement of 2008. The Government acknowledges the results as a step further toward permanently settling the age-old dispute. This act of civic expression in Guatemala was conducted smoothly and efficiently in a way that contributes further to the strengthening of democracy, peace and security in Guatemala as well as in the region. At the recommendation of the Secretary General of the Organization of American States in 2007, the Governments of Belize and Guatemala were asked to consider going to the ICJ to settle finally and definitively their dispute arising from Guatemala’s claim on Belize’s continental and insular territories and the maritime areas pertaining to them. Both countries agreed to do this subject to the will of their respective peoples as expressed in national referendum. In accordance with the Special Agreement, the Government of Belize is committed to conducting its own referendum for the electorate to decide whether we should submit Guatemala’s claim to the ICJ for a final settlement. A date for this will be set after the national re-registration exercise has produced a new and robust electoral roll. Belize’s Ambassador to Guatemala, H.E. Alexis Rosado, made appearances on the Guatemalan media, and informed the Guatemalan and international media who are currently in Guatemala that Belize’s referendum will be held after the re-registration process is sufficiently complete, and stated that Belize also proposes to intensify its public awareness campaign starting this and next month.